Our A team went into this game knowing a win would put them closer to the promotion places, with second taking on third. Welly started slowly but, against the run of play, took the lead through Ash Bright, assisted by Chris Cannon. A second quickly followed, assisted again by Cannon, with the scorer being Rohan Poulsom. Captain Oli Ghazala then got involved and ran at the defence, skipped past two and slotted the ball past the goalkeeper. Five minutes later, Cannon was played through, with the keeper saving his first attempt before he headed in the rebound – a good job as, two minutes prior to that, he had missed a sitter from a yard out. Just before half-time, man of the match and left back Liam Thorne bagged himself a goal with a brilliant run forward. In the second half, Welly rang the changes which, together with the pitch and weather, made the second half less ‘fun’ to watch. However. Welly managed to grab two more goals in the final 20 minutes – Ghazala with his tenth of the season and Jordan Sellick from the bench. 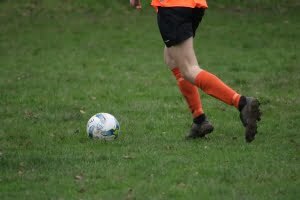 So, another win and Welly move on to next week’s game away to unbeaten Wembdon … say no more.